Nicotine patches can help you stop smoking. When you apply the patch, nicotine passes through your skin into the body, replacing the nicotine you would normally get from smoking. As your body adjusts to not smoking, you should reduce the size of the patch over a period of 12 weeks, until you no longer need to use them. 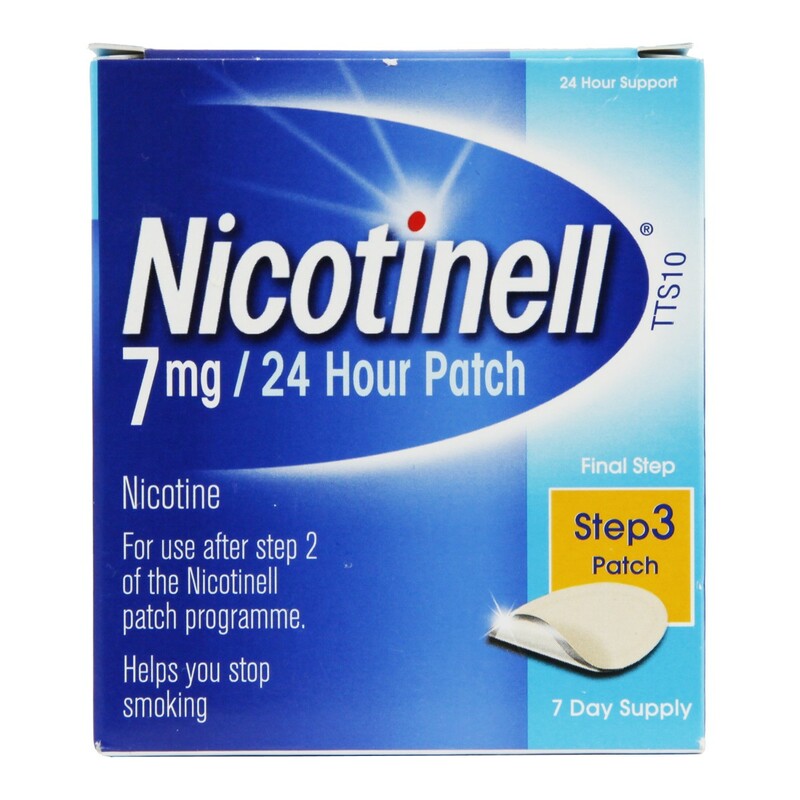 This Nicotinell Step 3 patch is the final stage in using the patches, and should only be used after using Step 2 of Nicotinell patch programme. Thank you for your interest in Nicotinell 24 Hour Patch Step 3 - 7mg. Enter your email and we'll contact you as soon as it's available again.